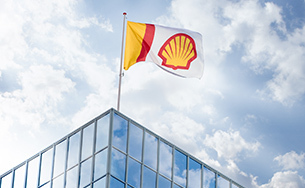 Exploration is a key part of Shell’s integrated global energy business. It delivers valuable resources in support of the company’s strategic objectives for Conventional Oil and Gas, in Deep water and for the Integrated Gas business. This is how we fuel the Shell engine. In exploration, we are executing a strategy focused on both short-term value through established ventures and mid-term growth by expanding our heartlands with selective investment in emerging basins and limited frontier positions. focusing on emerging basins where hydrocarbons have been discovered by us or others without yet becoming major producing regions, making them less-risky propositions with a higher chance of success than true frontier positions. In 2018, we announced two notable deep-water discoveries in the US Gulf of Mexico, Whale and Dover. Whale is among our largest exploration finds in the US Gulf of Mexico in the past decade and is operated by Shell (Shell interest 60%). The well, which is located approximately 16 kilometres from the Shell-operated Perdido platform, encountered more than 1,400 net feet of pay (427 metres). We are targeting FID in 2020. 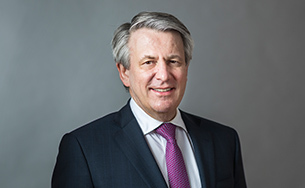 Dover (Shell interest 100%) is a large exploration discovery in the Norphlet geologic play and encountered more than 800 net feet of pay (244 metres). It is located approximately 20 kilometres from the Appomattox host. The other notable discovery is Epu Deep (Shell interest 30%), a near-field gas discovery in the greater Gbaran area in the Niger Delta of Nigeria. Beyond these discoveries, in 2018 we also had heartland discoveries in Brunei, Egypt, Malaysia, Oman, Russia, and the UK. 2018 was also a year in which we significantly expanded our exploration acreage with large additions in Mexico and Brazil and a country entry in Mauritania. In Mexico, we won nine exploration blocks in the deep-water bid round, where we will be the operator of all nine blocks (four with a Shell interest of 100%, four with 60% Shell interest, and one with 50% Shell interest). In Brazil’s Santos Basin, we signed 35-year PSCs for the Saturno (Shell interest 50% and operator) and Tres Marias (Shell interest 40%) deep-water exploration blocks. Also in Brazil, we won four deep-water blocks in the Campos and Potiguar basins; we solely secured one exploration block as operator and secured three blocks in joint-bids (Shell interest 40%). See Brazil “In Focus” section. In Mauritania, we signed two PSCs with the government of Mauritania for the exploration and potential future production of hydrocarbons in the offshore blocks C-10 and C-19 (Shell interest 90%). 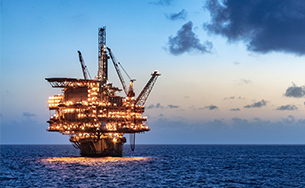 Additionally, we grew our oil and gas portfolio by adding exploration acreage (some remaining subject to ratification) in Albania, Australia, Brazil, Malaysia, Morocco, Norway, Oman, South Africa, the US Gulf of Mexico and the UK.